The season is well under way for the T-Birds. 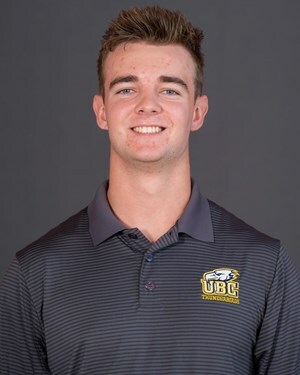 The UBC Thunderbirds baseball team has opened its National Association of Intercollegiate Athletics West (NAIAW) season in dominant fashion. The team cruised through the first half of the year, including an active nine-game winning streak and a 13-3 record to comfortably secure the top spot in the Cascade Collegiate Conference (CCC). 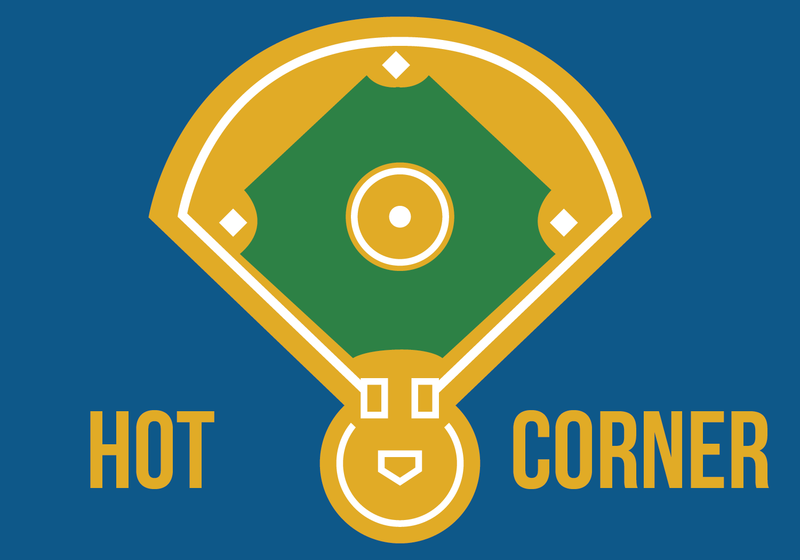 The strength of the team is two-fold, with formidable bats helping to power the offense to the highest run production in the conference, and a rotation that features a young core with excellent spot starts from veterans. The ’Birds have seen each of the other CCC teams once and have yet to lose a series. They opened NAIAW play with a 3-1 series victory over Lewis-Clark State in a matchup that featured an explosive opener for UBC. The Thunderbirds racked up eight hits and drew six walks in a strong offensive display — securing an 11-5 victory. Fourth-year catcher Zach Prisciak had a particularly strong day, picking up four runs batted in (RBI), including a three-run homer in the fifth inning to pull the game out of reach. The team would go on to draw a series with Corban Warriors, with each side winning a pair of games. To open the series, the ’Birds were unable to take advantage of a characteristically strong outing from ace Niall Windeler. The left-handed vet surrendered just one run in seven innings, striking out fourteen, but was tagged with a loss following a tough relief appearance from Barry Caine and solid outing from the Corban staff. In the first game of the Sunday double-header, Corban was able to knock rookie starting pitcher Garrett Hawkins off the mound early in his Saturday start, tagging him with five earned runs on six hits through four. Jack Caswell threw four and two-thirds solid innings, but the lineup couldn’t string together their nine hits to complete a comeback. The Thunderbirds would respond to their Warriors series draw with a pair of dominant weekends on the road. In a four-game set with the Oregon Tech Owls, the Thunderbirds bats started to click and the team’s 33-run weekend would help them close out the sweep with ease. In the series opener, UBC hammered the Owls with five home runs off the bats from five different players through the first two innings. They would add three more home runs on the weekend for good measure. In a much tighter series, the Thunderbirds would hold on to close out a four-game sweep of the College of Idaho Yotes. Though they opened Saturday’s double-header with a 15-3 win, the other three games were all within three runs, including a 4-2 win on Friday, and a 7-5 sweep-clinching victory on Sunday afternoon. The tight nature of the games they were able to close out against the Yotes is a very positive sign. Following their explosive weekend against the Owls, the offense has managed to maintain some momentum, at least enough to provide decent run-support for their starters. In games against Corban, solid outings from rotation pieces like Windeler and rookie Garrett Hawkins were missing the offensive production needed to close out victories. With the lineup in midseason form, as they were against the College of Idaho, those decent starts become winnable games. Just as was the case last season, there is no team in the CCC with a lineup that can get hotter than UBC when they are rolling, but this similarity is fairly surprising considering the turnover that the team has seen coming into this year. With many departures among the key pieces of last year’s team — Mitch Robinson, Anthony Cusati and John Whaley, among others — this year’s lineup is packed with young talent. 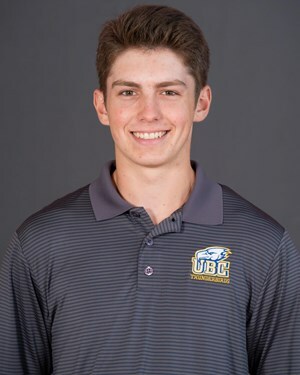 The team that UBC fielded in its most recent matchup with the Yotes featured five rookies and three sophomores with backstop Prisciak being the lone senior, but the squad has not seen the youth and inexperience slow them down. Up to speed now, this lineup is dangerous — and heading into a bye-week, teams can expect these Thunderbird batters to be rested and ready to continue their intimidating play down the stretch. 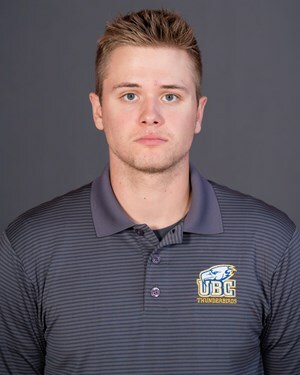 As the batters for UBC have continued to build confidence through the first half of the season, the young pieces of the rotation have started to follow suit. Windeler has led the way for the trio of regular starters all year, with near-masterful outings in each of his four appearances in conference play, but Hawkins and sophomore Jared Spearing are also starting to find their midseason rhythm, with each posting some of their best games in the series against the Yotes. Hawkins, in particular, looked very comfortable on Saturday as he picked up his third conference win of the season. He fanned 12 and threw 8 scoreless innings for his best start in a Thunderbird uniform. As UBC continues to reach midseason form, they have shown signs of dominance on both sides of the ball. The team can look forward to an away series in Idaho against Lewis-Clark State to kick off the second half of their season. The Thunderbirds enter their break five games above .500, sitting comfortably atop the CCC standings — and it doesn’t look like they’re going anywhere anytime soon.